$20,000 in Computer Equipment Stolen From Boys & Girls Club in Contra Costa Co. The Boys & Girls Club of Contra Costa with administrative offices in El Sobrante lost $20,000 in computer equipment last week after an overnight burglary, the center reported Tuesday. Staff members discovered on March 20 that suspects stole a storage unit with dozens of computers, monitors, keyboards and other equipment. The organization said they also lost several boxes of educational materials for summer camp programs. 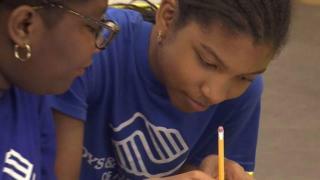 The Boys & Girls Club is insured for property loss but the burglary might still be very detrimental, according to the organization. "It is really heartbreaking that anyone would literally steal these learning opportunities from underserved children in our community," CEO Dana Fraticelli said. Almost 75 children attend the annual summer camp, which is scheduled to start on June 18. The organization said it is trying to rebuild its store of materials as fast as possible for its students. The Contra Costa County Sheriff's Office is currently investigating the burglary. Anyone with information about the case is asked to call the sheriff's office at (925) 335-1500. The Boys & Girls Club is accepting cash donations online or via mail at P.O. Box 20090, El Sobrante, CA, 94520.